Hi Russell, tell us a bit about yourself — where you’re from, what you do? Well, I’m from Newcastle upon Tyne which is a pretty nice city to live in if you like Beer and Pasties. By day I work in media sales and by night I make Electronic/Hip Hop music under the alias Aereal (link at end of article). ‘Bobby Necro’ – care to explain? Just a nickname that I’ve used for production at times. My middle name is Bobby and Necro represents many things — a dark and brutal sound, a dark sense of humour. There’s also a Rapper called Necro who influenced my name haha! You’ve got an impressive collection, can you list them for us? Or tell us your favourites? 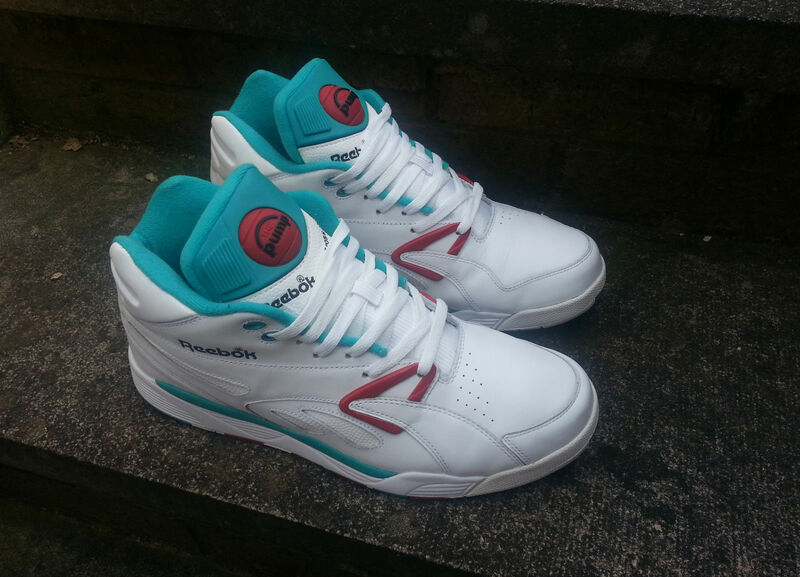 Ok I have a selection of Omni Lite Pumps which for me have to be the best looking Basketball sneaker of all time. 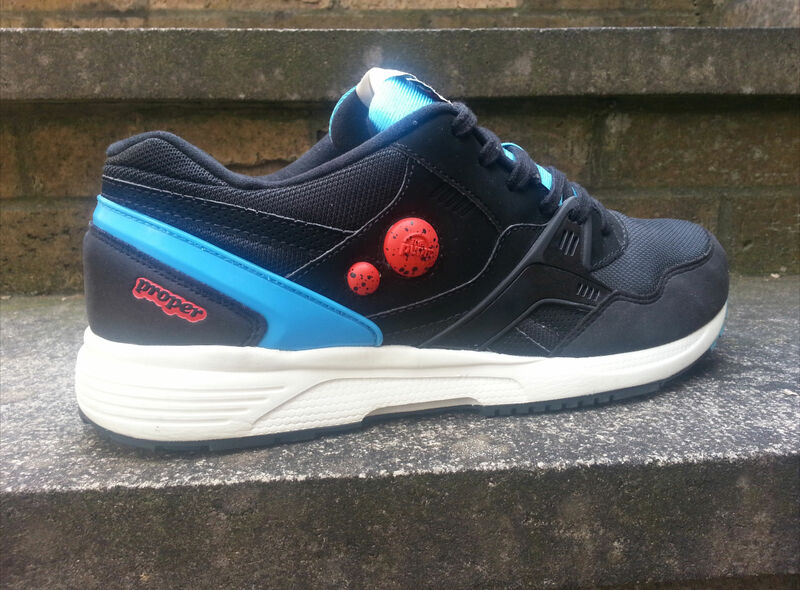 Especially the White/Black/Orange colourway which were originally released along with the Black Dee Browns. I was blown away by these as a kid, but there was no way my Mother was going to buy me them over the Hi-Tecs and Panam kicks I had to settle for!. The Lakers’ colourway Omni’s are another of my faves. They are an older model I managed to pick up deadstock and the quality of the leather is second-to-none. 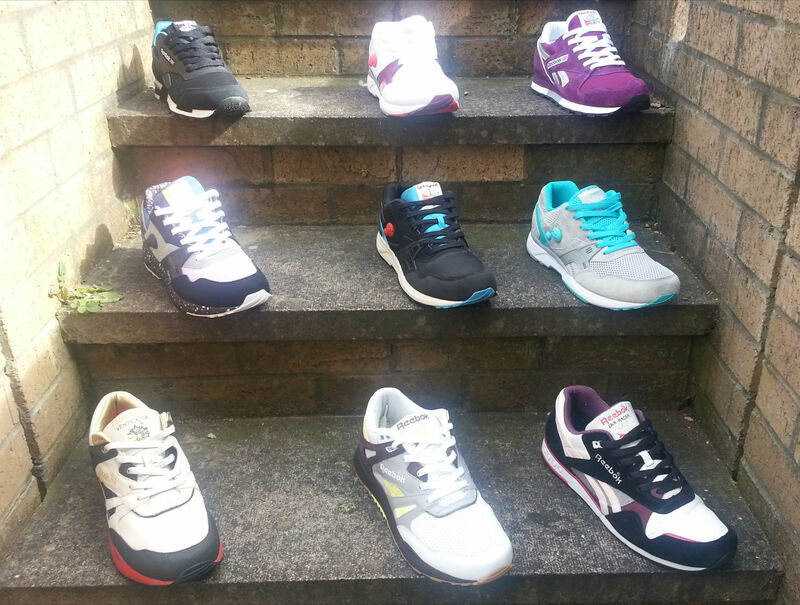 As you can see I do like the Pumps a lot but Runners are where it’s at for me personally. 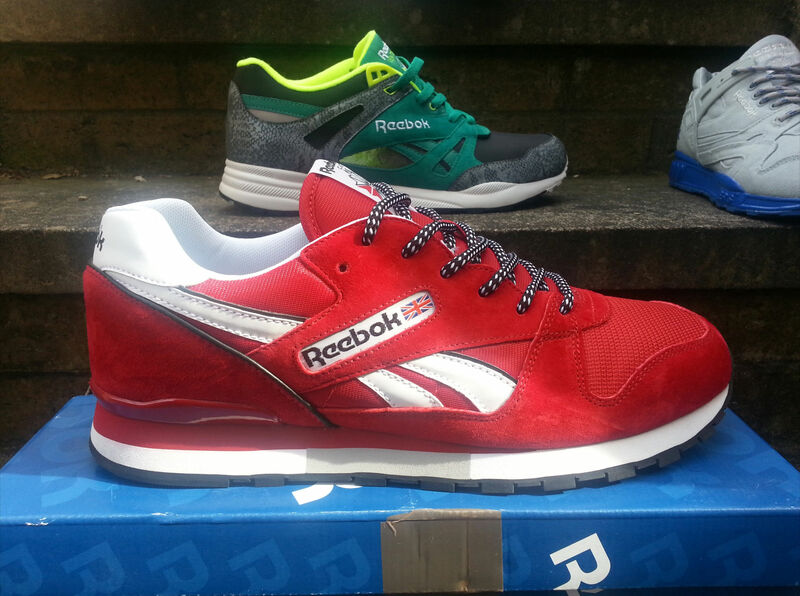 The 90’s was a golden age of innovative designs and popping colourways and Reebok was on top form in both respects. The Pump Running Duals are one of my favourite models and I have picked up a few pairs including the Reebok/Proper colabs and a custom pair with the speckled soles that i’m really proud of – they came out amazing. I’m also a massive fan of Ventilators. The shape and panelling really appeal to me as well as the selection of colours and materials available. The Black/Green/Snakeskin are also customs that came up looking nice. Yeah, they’re pretty sweet. So why Reebok? I think it stems back from when I was a kid. My first decent pair of trainers were a blue/white Reebok Hexalite tennis shoe which had the window in the sole where you could see the honeycomb. When I got older and started buying my own stuff online from the USA I was amazed at the models and styles from Reebok that i’d never seen in any stores at home. Everyone was wearing Nike and I liked to have something different. Over time I felt like I had developed a loyalty to Reebok and the brand just stuck with me. I was born in the 80’s and was a teenager in the 90’s and during that time the Reebok Vs. Nike stuff was going on and the advertising was great – “Pump up and Air out!” Reebok was killing it with the Pumps and I am very nostalgic about those times. The music, the video games, the movies and of course the kicks! Your shoes look very very clean, do you wear them *at all* ?!! So in your collection – which are most comfortable? Hmmm…the Pump Running Duals I have to say overrall. depends which pair though because I could show you like 4 pairs and they’re all shaped differently! I don’t know why exactly but it must be something to do with the factory they were made in and year of manufacture. So which are the best lookers? I love how the customs came out…obviously because I put the colourways and materials together. There’s two pairs of (custom) Omni Lites, and then the Ventilators and Pump Running Duals you can see above. You’ve got a lot of Pumps there – do you have a favourite Pump? The Omni Lites and of course AXT Mid! Those Pump AXT’s look pretty sweet – what can you tell us about them? I spotted them on eBay during one of my daily searches and immediately bought them. I already had those AXT Mids which are one of my all time faves so had to pick them up. The condition was just about mint and no creases etc. I don’t know too much else about them other than I love those plastic triangular pieces on the eyestay. I think you’ve converted me to a fan of these too, now Russell – Retrobok archives page suggest they’re from 1990, I’m not sure if they’ve been retro’d since — great catch! So maybe you can feel the groundswell of 90’s runners coming back? Totally! It’s like all my wishes are being answered! The ERS models, the vintage classics and – although not 90’s originally – the GL 6000. 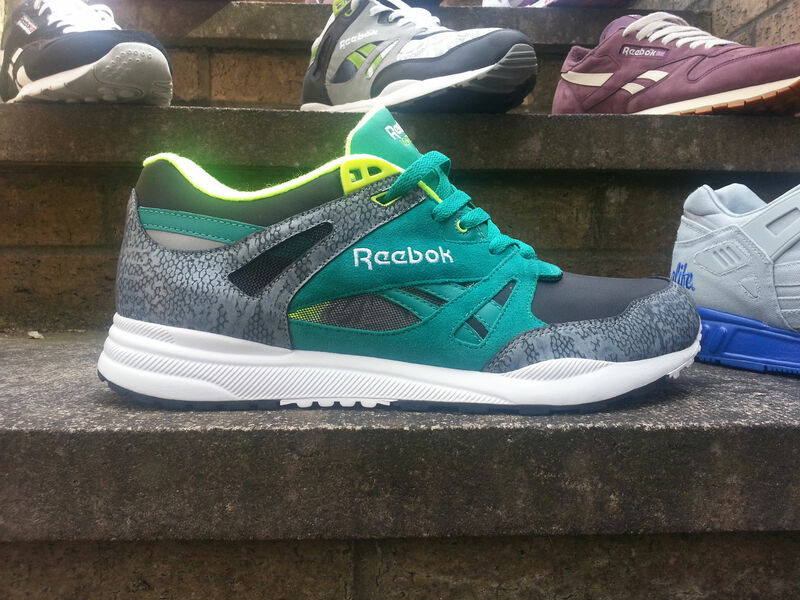 Reebok have an amazing archive of runners just screaming to be retro’d! So what would you really like to see Reebok retro next? Volleytech mids, Pump SXT, Phase IV, Trek 2 (HXL), Royale. I would buy all of these in an instant if they were re-released. Now you’re talking! The Volleytechs I’d not heard of or seen before. 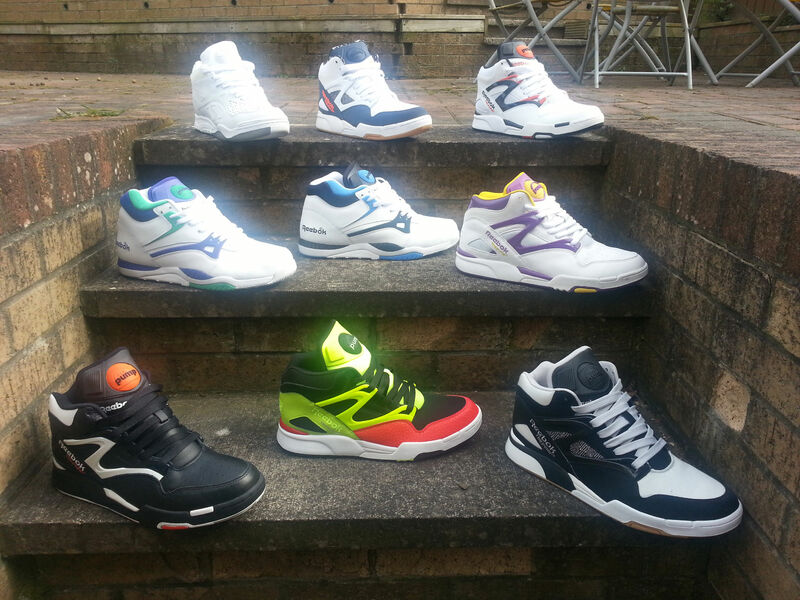 I’ve just added another missing shoe to the 90’s Reeboks page – thanks! They look pretty insane, too. 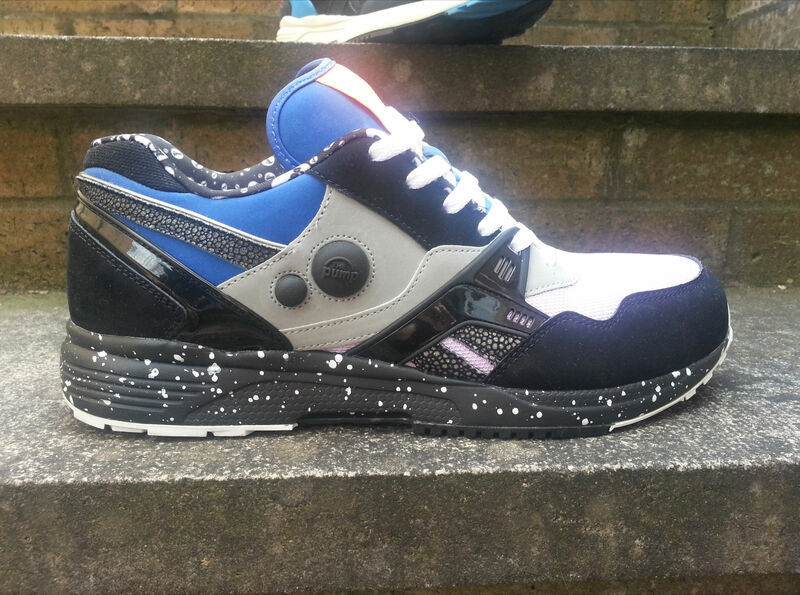 You’ve got those very smart Cheap Monday Workout Plus’s – probably my favourite looking of the 25th Anniversary pack. Are you a big fan of the Workout – tidy looking shoe, but how are they to wear? I’m not the biggest fan of the Workout, but when done right they are stunning. The Cheap Mondays were also my favourites alongside the Starcows (which I don’t have). This is one pair I am yet to wear properly as I recently picked them up. They felt all good to me when I tried them on. But then again comfort is only a bonus to me – if a shoe feels ‘not just right’ I can usually just walk them in and forget about it. What about your ERS 5000’s and Ventilators? The 5000 Alife’s (I believe) look sweet. 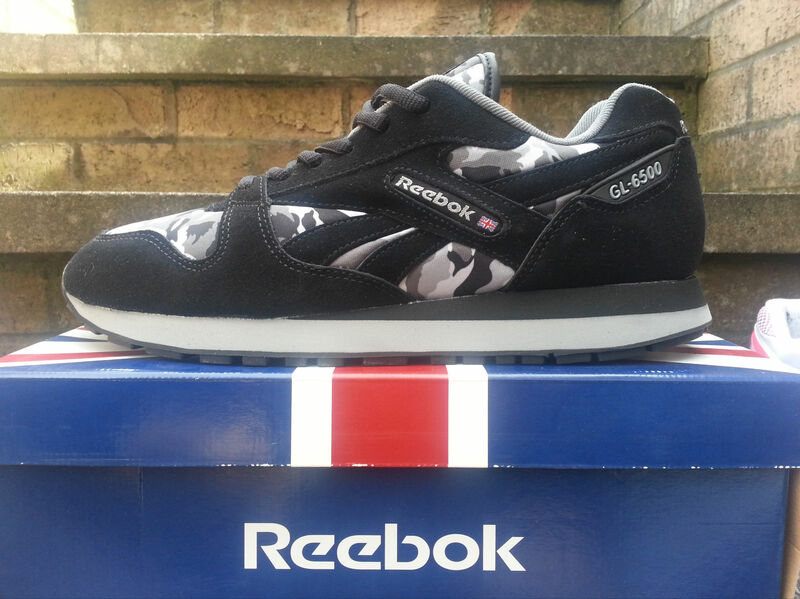 I see you’ve got those early-2000’s GL6500 retro’s – actually a really nice makeup in Black and grey camo. I have the GL6000’s from the same time and have very mixed feelings about them – they were really not upto quality but it felt like the seed of what was to come with Reebok retro’ing more and more by the end of the decade. What do you think? I was OK with the quality on the GL6500’s and they are a very cushioned shoe through the tongue and sole. 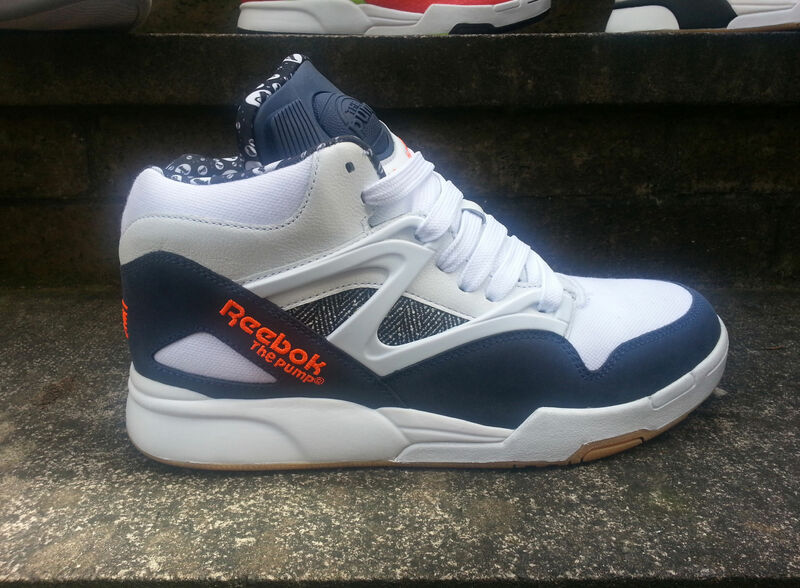 I agree with you on that time being the seed of what Reebok would be doing later in the decade. I hope to see many more models retro’d in the future that are true to the originals – but people like us are looking for quality of manufacture, not just looks. Absolutely, that’s been my biggest message to Reebok too – keep the quality up, or fans of other brands may not look again if the quality is not up there. 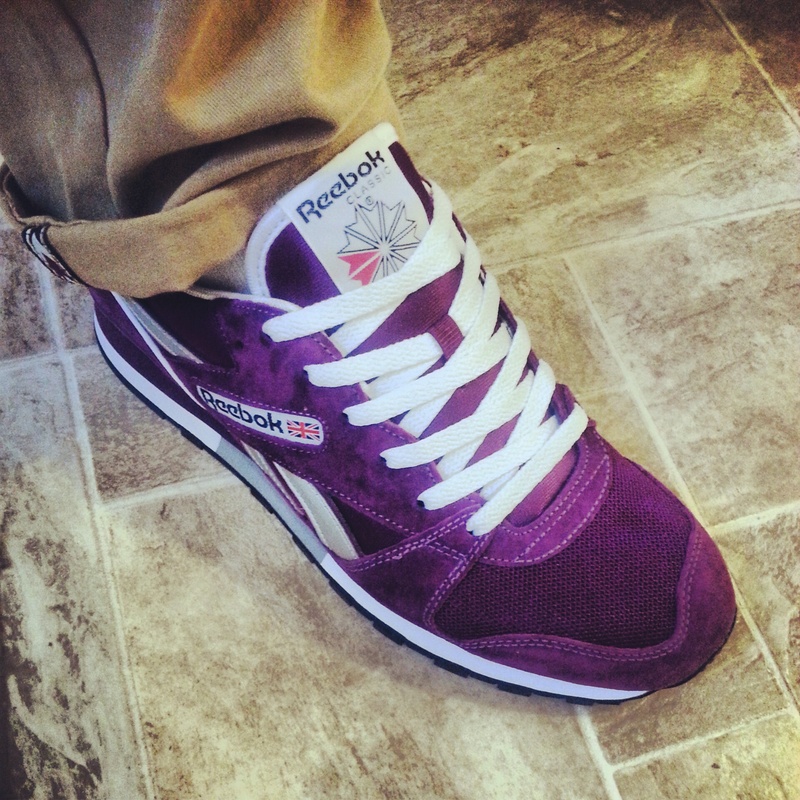 So on that subject – how are you feeling about 2013 for Reebok? Feeling good! there’s some classic stuff coming out like the Shaq’s which blow the competition out of the water (yes i’m talking about Jordans!) The runners look like they will be picking up too. The suede and nubuck Classic Leathers Vintages were spot on, however the 2013 ERS retros were really flimsy and quality-wise not great. Yeah, I’m actually very disappointed with the ERS 1500’s quality. What have you got your eye on next? I think I need to buy the Blue/Red Vintage Classics. Overall i’m not a Classic fan what with all the cheap leathers out there but the shape and quality on the Vintages makes them look like a different class of shoe. I might get the Shaqs but i’m not sure…awesome to look at, maybe hard to wear with jeans for me. But back to Basketball and you’ve a few pairs of Sir Jams/Reverse Jams – underrated classics? Those Sir Jam lows are unreal…definitely underrated. 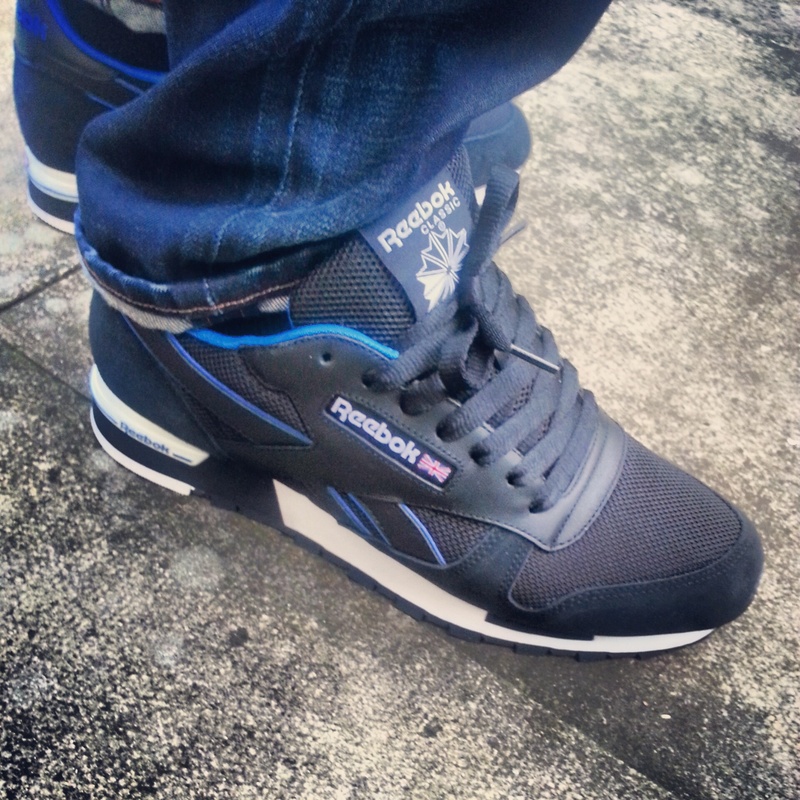 That massive Reebok logo on the side, the PlayDry lining and cushioned insole, they feel perfect on foot. 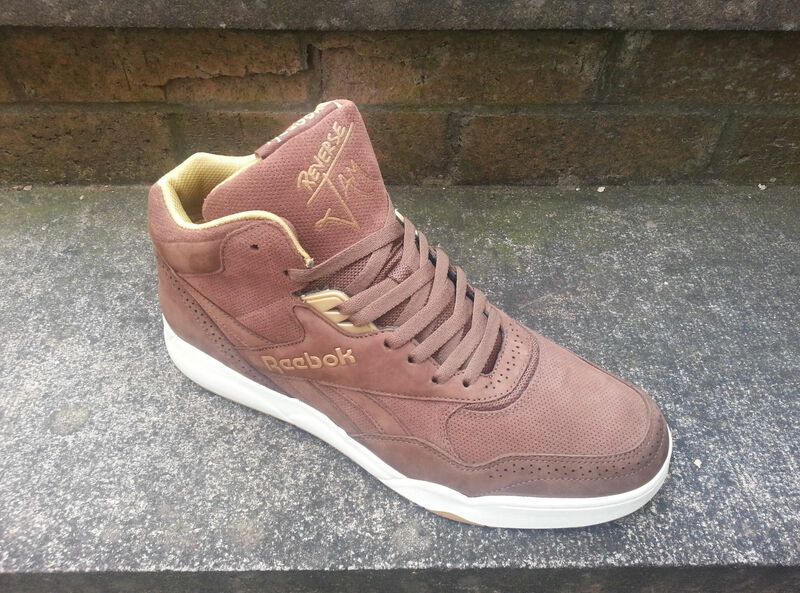 Reebok…i want to see some more colourways released please! The Reverse Jams are cool too. There were some awesome colourways released years back but I never see them anywhere. Of course, we wouldn’t be true Sneakerheads without asking about other brands in your collection – do you have much else? Oh yes, all brands and many of them. I’m really into Saucony, New Balance, Adidas and Nike. Mostly 90’s Running models. Any final thoughts? 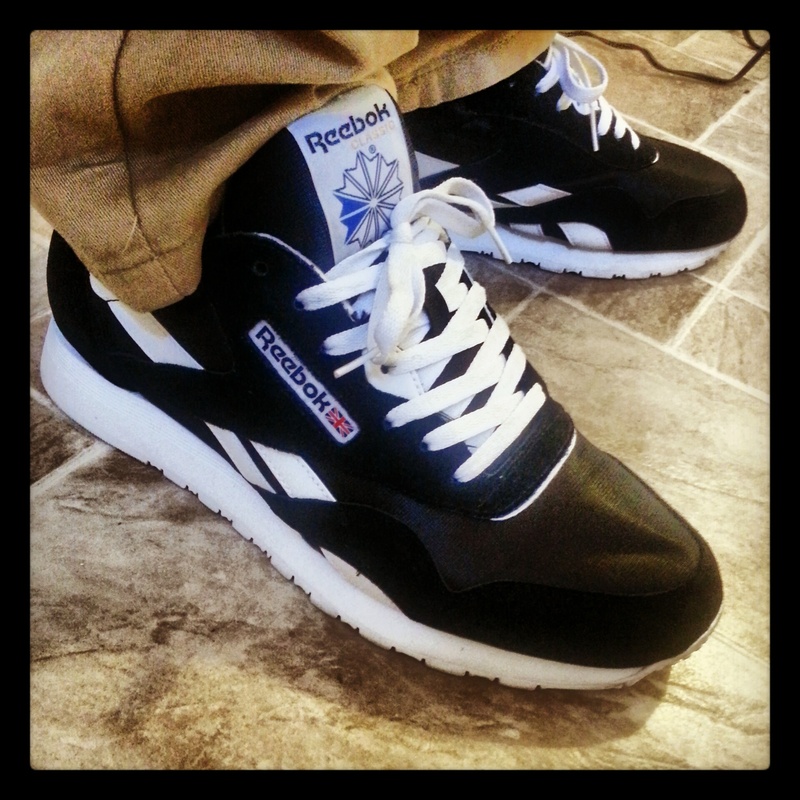 Requests to Reebok or what would you like to see more of on Retrobok? Reebok – please retro the models I mentioned earlier, especially the runners. Now is the time and your brand is entering an new era – the Nike and Jordan purists are starting to wake up and notice Reebok. 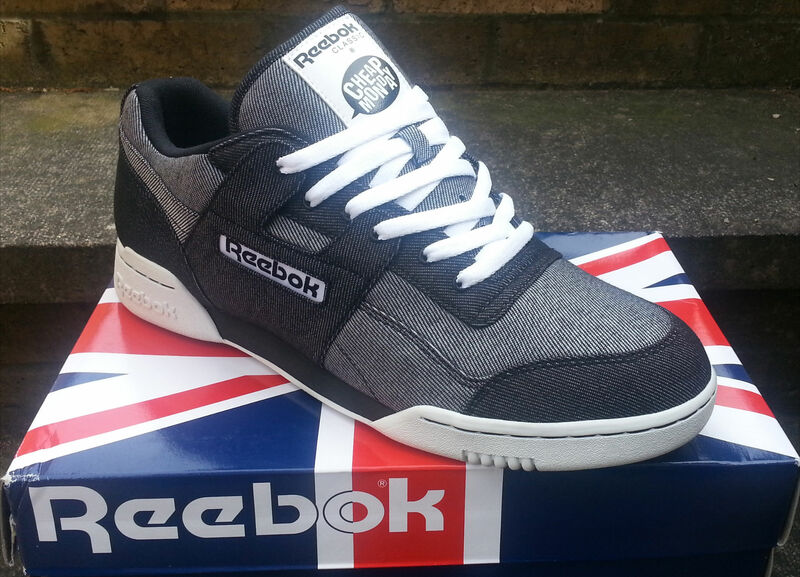 They are realising now that Reebok isn’t just about cheap leather Classics in discount sports shops! Retrobok – respect to you and what you do. There’s more people out there like us who have a passion for Reeboks glory days and even Reebok themselves need to visit the archive and get some inspiration for the future or ideas for retros. Maybe there could be a voting system on which shoes people would like to see retro’d? Also a Retrobok Instagram. I’m a huge fan of Instagram and its a great tool for Sneakerheads to show off their collections and talk shoes. Posted on April 7, 2013, in Newsfeed. Bookmark the permalink. 2 Comments. Brilliant Feature Russell, loving those gl6500 camo’s.